Adventure Travel in Norway: Sleep in a real Snow hotel, experience Dog sledding in the Arctic wilderness, join a Northern Lights cruise or an amazing Aurora Borealis Safari. 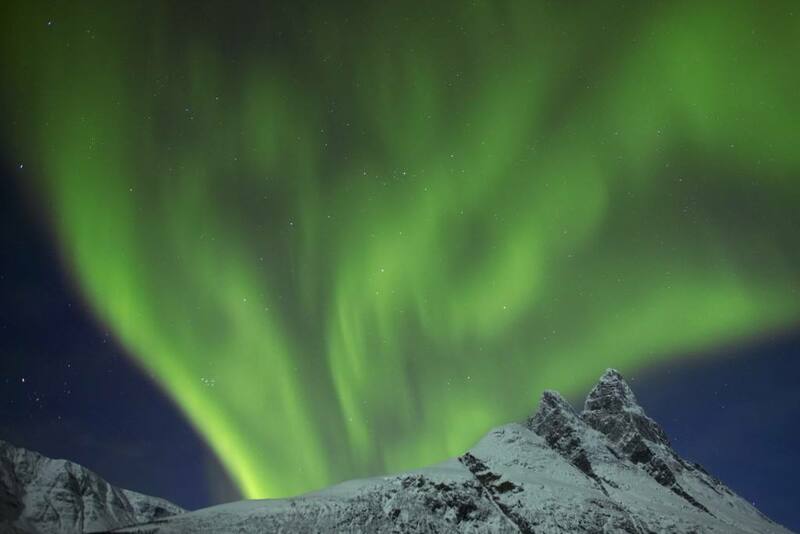 This short break includes 3 nights in the beautifully located Arctic town of Tromso, Northern Lights trip with dog sledding, Aurora Safari, Aurora husky visit & Arctic gourmet lunch. Duration: 3 nights. Winter season. 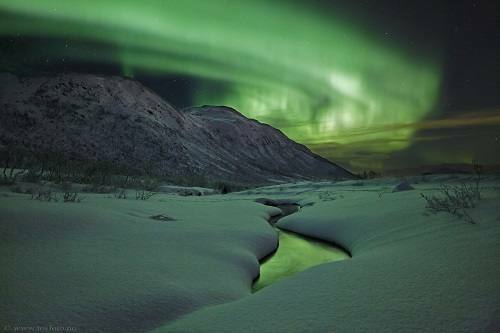 Northern Lights package with stays in Oslo, Tromso & Malangen Resort. Includes Northern Lights activities, dog sledding, Arctic gourmet lunch, Sami storytelling & Aurora safari. Domestic flights included. Duration: 6 nights. Winter season. Enjoy 3 nights in the beautifully located Arctic town of Tromso; the “Northern Lights capital” of Norway. The break includes reindeer sledding, Aurora husky visit and an Aurora cruise. Duration: 4 nights. Winter season. Northern Lights tour package with 3 unique accommodations under the Northern Lights. Stay at an igloo hotel, cozy lodges and enjoy dog sledding, a snowmobile trip, reindeer sledding and Northern Lights activities. Domestic flights included. Northern Lights package incl. 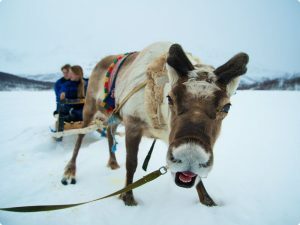 stays in Oslo & Tromso, Northern Lights trips, dog sledding, Aurora Safari & Arctic gourmet lunch. Domestic flights included. Duration: 5 nights. Winter season. 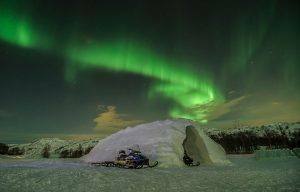 Northern Lights tour with a stay at Kirkenes snow hotel. 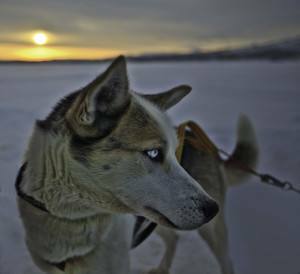 Enjoy Northern Lights wilderness trips, dog sledding, reindeer sledding & Arctic gourmet dinner. Domestic flights included. Add-on: Extra nights, wilderness cabin, king crab fishing, snowmobile & Northern Lights dinner cruise. Northern Lights trip with Oslo, Kirkenes & Bergen. 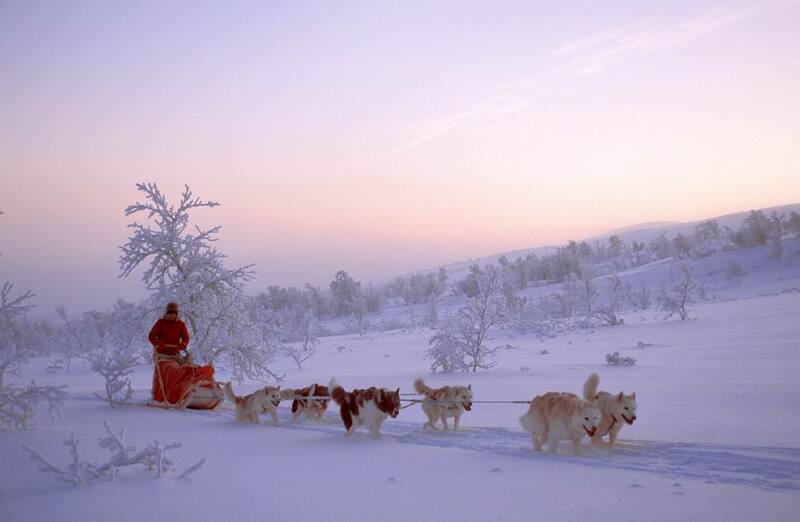 Enjoy a stay in an ice hotel, Northern Lights trip with dog sledding, fjord cruise & Flam Railway. Duration: 7 nights. Winter season. 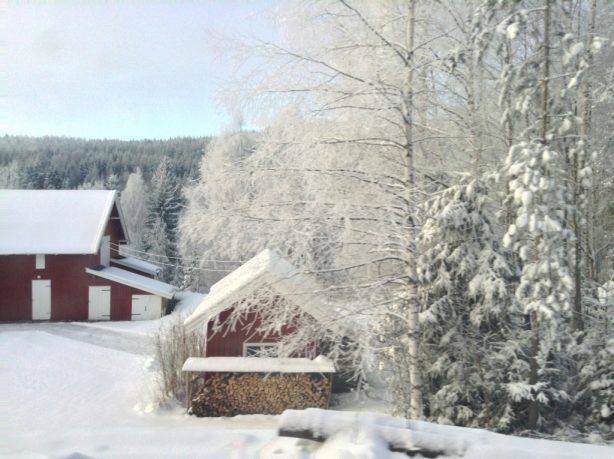 Add-on: Extra nights, king crab fishing, snowmobile & winter fjordsafari. 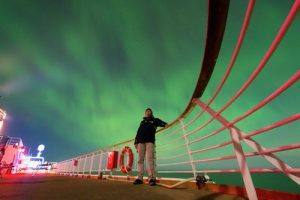 Northern lights cruise package incl. Hurtigruten cruise, Aurora safari, Aurora husky visit, Arctic gourmet lunch & Vesteralen shore excursion. Domestic flight included. Duration: 7 nights (3 nights on board). Winter season. Add-on: Extra nights, dog sledding, snowmobile tour, reindeer sledding & Northern Lights dinner cruise. Winter cruise package with 6 nights cruise from Bergen to Kirkenes. Enjoy sightseeing in Alesund & Trondheim, dog sledding, a Viking feast at Lofoten Islands & North Cape excursion. Domestic flight included. Duration: 8 nights (6 nights on board). Winter season. Cruise package with cruise from Trondheim to Tromso, scenic train ride across Dovre mountain plateau, a Viking feast at Lofoten Islands, Northern Lights trip in Tromso. Stays in Oslo, Trondheim & Tromso. Domestic flight included. Duration: 6 nights (2 nights on board).Winter season. Add-on: Extra nights, dog & reindeer sledding & snowshoe trip. 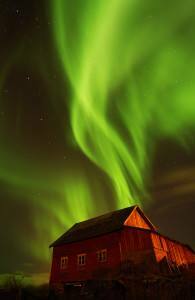 Northern Lights Cruise package with 4 nights cruise from Trondheim to Kirkenes, scenic train ride, dog sledding, North Cape excursion and stays in Oslo & Trondheim. Duration: 7 nights (4 nights on board). Winter season. Add-on: Extra nights, ice hotel, king crab fishing & snowmobile. Winter cruise package with a night in Oslo & Kirkenes, a 5 nights cruise from Kirkenes to Bergen, dog sledding trip & 2 shore excursions. Domestic flight included. Duration: 8 nights. Winter season. Add on: Extra nights, shore excursions. Nature’s own light show – are solar winds that meet the atmosphere in a zone around the magnetic North Pole, forming arches, waves and curls of light moving across the sky, with sudden rays of light shooting down from space. 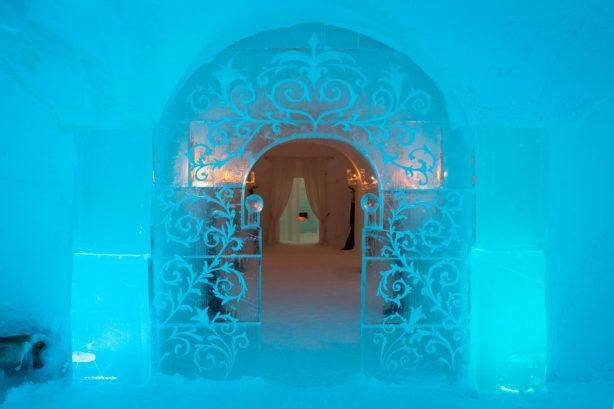 Sleep in a Snow hotel! A memory for life! 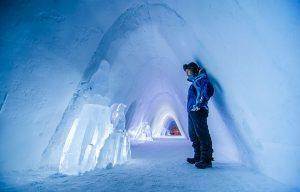 The fascinating Kirkenes Snow hotel is rebuilt each December. The Snow hotel is located outside the lights of the town, ideal for viewing the Northern Lights. They have a tiny Reindeer park and a warm & welcoming service building next to the hotel. Kirkenes is a peaceful town, with no charter flights & mass tourism. The town is located in the Northern Lights belt, close to the Russian border. Enjoy a cruise on authentic Hurtigruten: The Hurtigruten ships have been cruising along the vast Norwegian coast for more than 100 years! With daily departures all year the ships have played an important part of people’s life along the vast Norwegian coast, being a unique mix of first class passenger ships, public transport & freight vessels. The Arctic town of Tromso is ideally located in the middle of the Northern Lights / Aurora Borealis zone in Arctic Norway. This vibrant town is located on the western coast of Arctic Norway. Tromso is Europe’s northernmost University town, and the second largest city and urban area north of the Arctic Circle. Read more.